For the first match up of the day: Gulch Trotters vs Method PogChamp. The competitors started off in Upper Karazhan with the defending champions, Gulch Trotters, just powerless to perform ending with 20 deaths. Impressively, Method has successfully had zero deaths come the last few dungeons in this competition. A rough start for Gulch Trotters as they obtain three deaths leaving Boss 1 of Halls of Valor. A regrettable choice-pick for Gulch Trotters as Method dominates HoV. They start Odyn’s RP as Gulch Trotters are barely starting the fight with Skovald. With such a clean run, Method easily rises victorious, defeat the defending champions, and move onto Round 4 against Kjell’s Angels. Without taking a break, we go into the battle of EU! Method PogChamp goes straight into the next match against the hyper aggressive Kjell’s Angels starting with Vault of the Wardens. Each team start off with a huge pull before Boss 1. Method understands this is Kjell’s Angels favorite dungeon and try to keep up the pressure. Both competitors are tied going down the first elevator heading to the next boss, Inquisitor Tormentorum. Method use the line-of-sight strategy making it easier to control the mobs while fighting the boss. 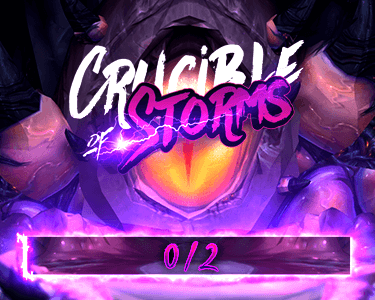 The struggles become apparent to both teams as we witness a couple wipes along the way to the final boss, especially from Method. Even with a total of 14 deaths, Kjell’s Angels finish the final boss before Method make contact with Cordana Felsong. 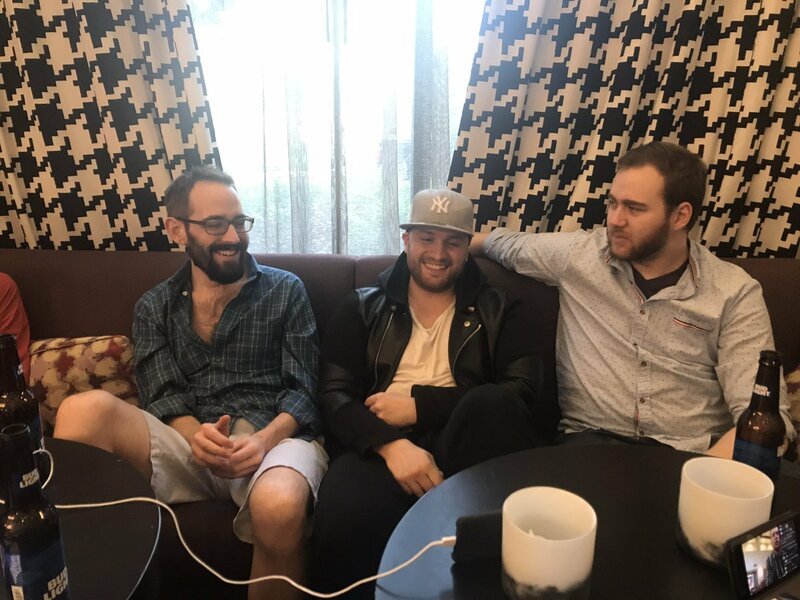 The casters all shocked at Method’s counter-pick, Maw of Souls. A common dungeon amongst many, but suicidal with a plethora of one-shot mechanics at a +25 key. Method start off confident knowing they're in a delicate situation. Audience notice that Kjell’s Angels are coordinating a bit slower than usual. Their typical hyper-aggressive tactics take a hit as they did not expect Maw of Souls this far into the tournament. Method charges onto the boat with a nice hearty lead. This is where Method shines as they continue to hack and slash through the trash into Boss 2, Harbaron. Kjejll’s Angels get to Harbaron but end up wiping almost immediately. Method struggling with Harbaron as well, because it instantly turned into a test of endurance when they lose Drjay. The dungeon is far from over as Method head to Helya, the final boss. Now it seems that Kjell’s Angels are hoping for Method to falter as they have another wipe on Harbaron. Executing this counter-pick smoothly, Method defeat Helya and force a third game. With Kjell’s Angels choice of Court of Stars as their counter-pick, tensions rise a both teams are able to kill Boss 1 with no major issues. Although, Method had an unfortunate wipe as they try to kill off an inquisitors on the bridge pull before Boss 2. With a building lead, Kjell’s Angels comfortably enter the final boss as Method tags the second boss. Kjell’s Angels advance onto the Grand Finals for the grudge match of the year. 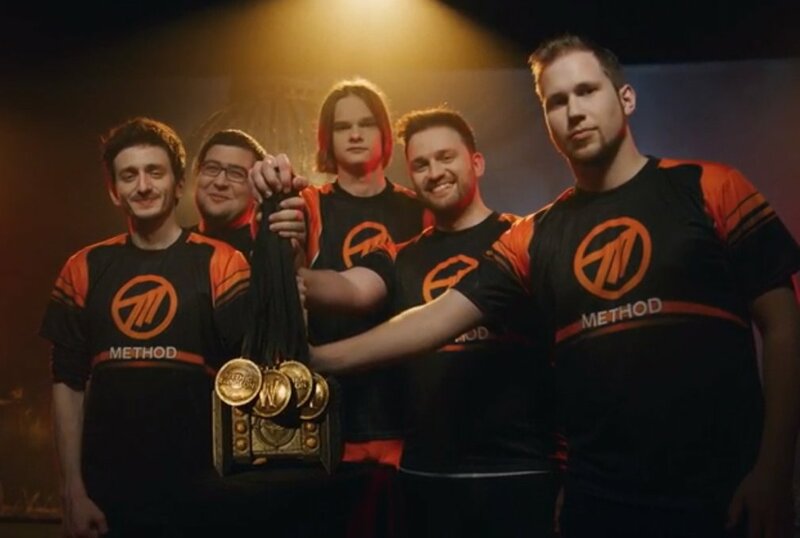 Method Pogchamp achieve third place in this year’ MDI Global Finals and will be attending MDI All-Stars! Kjell’s Angels force a rematch with Method NA into the Grand Finals. 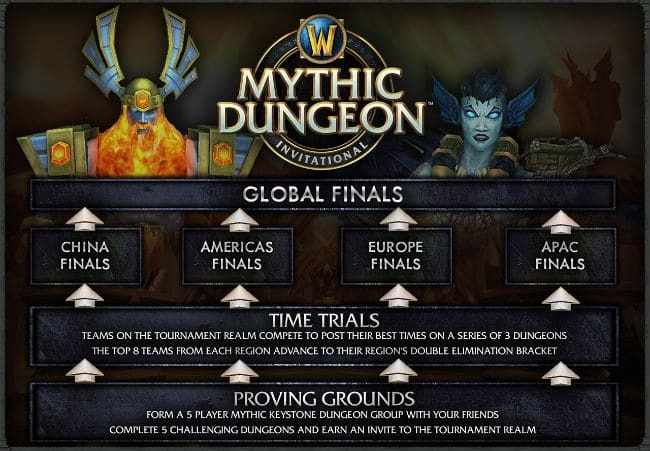 Teams are now required best of five dungeons instead of the previous best of three. Commentators discuss that counter-picks will be less important whilst team stamina will be a major factor. The battle between the Americas and EU had begun with more dungeons back-to-back than ever before. Let the bloodshed begin! These two titans go the distance in an all-out slug fest. Method NA and Kjell’s Angels go the full five rounds of the Grand Finals. It starts off with Cathedral of Eternal Night and teams try to get comfortable entering the series. Method quickly finish off Boss 1 and dash forward to the next objective. Although Kjell’s Angels tapped Boss 1 first, they fatally changed strategies. Jdotb and the team proving strong as they take advantage of Kjell's Angels' mistake to win the first dungeon of the series. Kjell’s Angels choose their favorite map, Vault of the Wardens. Method have a full wipe at the beginning of the dungeon and are not able to recover. Kjell’s Angels showing why this is their favorite dungeon as they flawlessly complete the dungeon with minimal casualties. Onto the third dungeon, Method’s choice-pick was Upper Karazhan. Both teams start off well, but Kjell’s Angels end up struggling with Boss 1. Method takes advantage of this lead as JdotB heals the team comfortably into the third boss. Method ends up with a full wipe as the mana devourer trash became overwhelming after Boss 3. This gave Method a total of 20 deaths and Kjell’s Angels finishing up Boss 3 with only 10 deaths. This was Kjell’s Angels chance to catch up, but end up with a double wipe with the same trash. Jdotb and Mitt go down during the final boss, but their Death Knight had two Battle Resurrections saved for such an occasion. Method takes on a well-deserved win and move onto a fourth map. Kjell's Angels next choice-pick was Court of Stars. Method struggled with the first boss and was unable to recover. Which brought this series to the fifth and final bout. Method NA choosing the most epic dungeon choice against Kjell's Angels: Neltharion's Lair! Method's choice of Neltharion's Lair made this a rematch-ception... a rematch within a rematch. The audience couldn't ask for a better Grand Final than this. Kjell's Angels may have tapped Boss 1 first, but Method was not far behind as over 100,000 viewers at home were watching a seemingly simultaneous dual screen. If you missed out, check out this clip from Method's Chlingshtv via his Twitter account. Moving on towards Boss 2, the bolster stacks on the first hulk for Kjell’s Angels caused them to fall behind. Then Method ran into the same issue with the second hulk and both teams start Boss 2 at the same time. Method starts to pull ahead going into the second phase with a better DPS execution. Just like the last time Kjell's Angels and Method NA dueled on Neltharion's Lair, it came down to the seconds. Kjell’s Angels start the final boss first with about a 12 second lead, but Method was able to close the gap starting it off with Blood Lust. With the viewers at the edge of their seats and the live studio audience cheering on the best Grand Finals anyone can ask for... Kjell's Angels pulled off the win after an adrenaline pumping last round. The battle for first place couldn’t have been anymore gut wrenching. After months of competition and endless battles, the Method fam have proved to be among the best in the world. 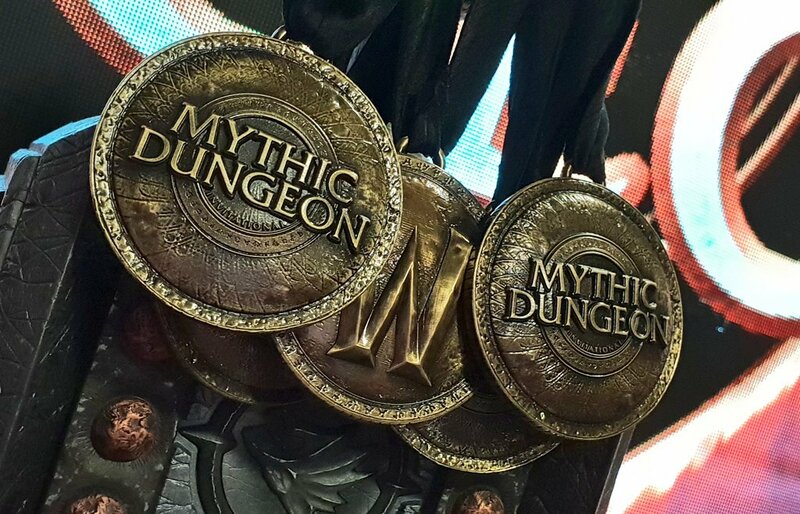 Alongside with China, Asia-Pacific, Americas, and Europe; these teams have made history climbing the ranks from The Proving Grounds going into the first ever Mythic Dungeons Invitational Global Finals LAN. After all that's said and done, everyone got together to share their experiences, as some have never met face-to-face before. Achievements had been made today. Method PogChamp just formed earlier this year beat out the defending champions and Method NA making it all the way to the Grand Finals. "The #1 reason why people give up so fast is because they tend to look at how far they still have to go, instead of how far they have come."